A wall mount screw is a steel bracket, which is used to fasten a flat panel TV to a wall. In order to fasten the bracket of the holder, the rear of the TV should be enabled with pre-drilled screw holes. The screw holes must be drilled in standardized and pre-determined position on both displays and brackets, so as to help fastener companies such as Mutual Screw to manufacture brackets, which can easily fit displays of varied patterns and sizes. This kind of standardization has been issued by Video Electronics Standards Association (VESA). This is a non-profit organization, which renders product standards for numerous industries, which come under technology. This organization is responsible for creating standards for the bracket, which is used in mounting a television or computer. The sizes of wall mount screws depend upon the weight of the device, going to be mounted. VESA offers three standard measurements for mounting screws, required for all sorts of flat screen TV sets. And this measurement is determined by pitch, length and diameter. These standard measures are set under Flat Display Mounting Interface (FDMI) heading by VESA. Under this, devices such as overhead mounts, poles, desktop flat screen mounting arms, pivots, arms, mobile mounts and wall mounts are included. These weigh either 110 pounds or more than that. The FDMI was launched in 1997, under the name Flat Panel Monitor Physical Mounting Interface and is also known as Mounting Interface Standard (MIS). Under this standardization, variants featuring 4 holes in the shape of a square are included. These are located at a distance of 100 mm horizontally and 75 mm vertically. The holes on these displays are usually 10 mm in depth with M4 threads. 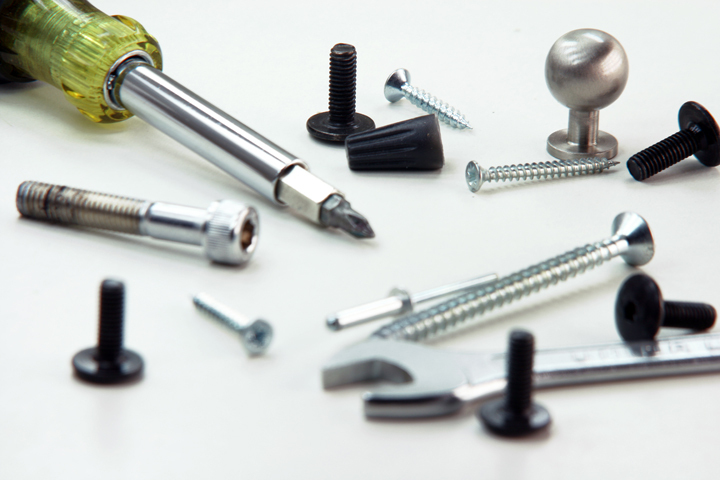 For devices weighing more than 110 pounds require wall mount screws, having diameter of 6 mm and a pitch of 1.0. Pitch refers to the number of ridges on a screw per unit of measure. These screws, furthermore should have a threaded length of at least one and a half times the diameter of the rivet. For televisions, weighing more than 10 pounds, the screws must have diameter of 8 mm and a pitch od 1.25. The thread length of these fasteners must be at least one and a half times more than the diameter. Screws of 16 mm are also recommended for the mounting purpose. 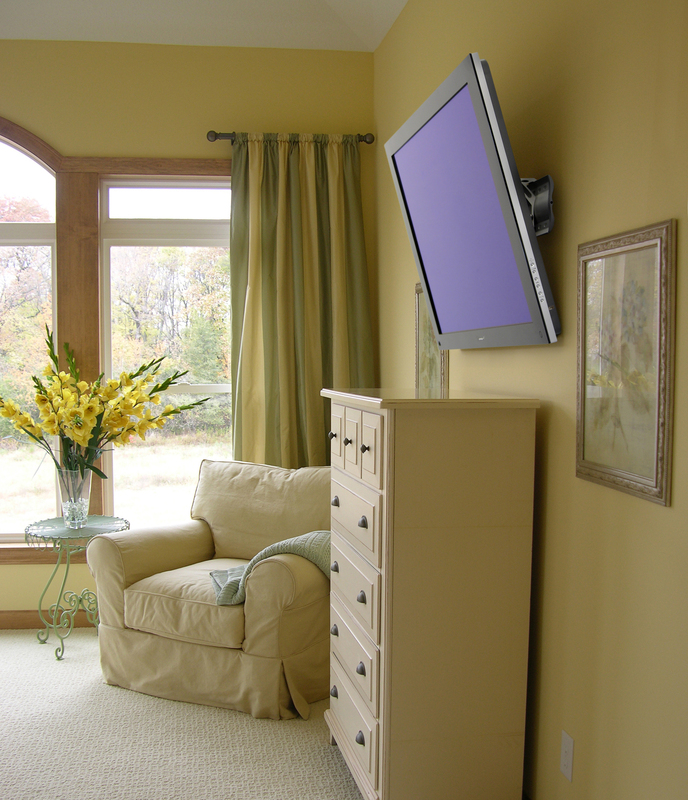 Some HDTV retailers charge premium prices for wall mount along-with fasteners, when sold along-with their items. Instead of going for such hefty price, you should look for a fastener store, where you can avail these fasteners at quite cheaper rates. In order to get these items at the best buys, the online stores are the best options. Any wall mount screw, approved by VESA will function properly, no matter whether it’s sold for $40 or $300. Therefore, research well before choosing a particular store.